Cradin’s objective is and will always be; to produce their own products in America by Americans. Why, because it is their reputation and integrity on the line not someone else’s. Having a strong technical background in aerospace along with literally years of marketing & sales experience, a decision was made to enter the industrial market place. Why…something new and adventurous one founder will say; the other’s response will be “If he wants to, I’ll be there with him”. Through a previous customer, Cradin found a niche in the Wood & Pulp industry. Specifically within gypsum board, fiber board and ceiling tile dryers. The niche was hanger bearings. These particular bearing assemblies are used to suspend the numerous board rolls inside long kiln dryers. Cradin had their first metal stamping die-set made; sub-contracting out the metal cup shaped retainers used to jacket a carbon-graphite bushing. It wasn’t long before they realized that the carbon-graphite bushings were always dimensional correct. However, the inconsistencies with the metal retainers had them scrapping far too many assemblies. How did they fix this problem…by acquiring a somewhat mature 161 ton punch press, affectionately referred to as “Big Bertha”, with a few minor problems…Like, what to do with a 45 ton 10 foot monster…the backyard was flatly denied as being a location option! Another minor problem was that nobody within the Cradin organization knew anything about punch presses, except that when you simultaneously pushed two big silver buttons the press’s center section would rapidly move down then abruptly reverse direction and park in the position from which it started. Leasing a building to house the infamous Big Bertha, Cradin quickly learned the metal stamping business. They were soon producing what many in the industry considered the “preferred” bearing for high temperature dryer applications. However, the design and bearing concept was not their own. Cradin did make improvements to this industry standard, i.e., spot welding the metal retainers together to ensure against premature bearing failure and packaging by individually nesting the bearing assemblies eliminating shipping damage. But, it wasn’t until witnessing the bearing replacement procedure, and clearly understanding the actual bearing’s functional requirements that made it obvious “There has to be a better way”. Realizing nothing new had been introduced since 1950, Cradin’s aerospace technology mindset surfaced. A United States Patent was received for an Integrated Hanger Bearing. Cradin’s half bearing concept (you only use the bottom half anyway) substantially reduced maintenance man-hours and increased product through-put. The original bearing concept caught the eye of one of the largest gypsum board dryer designers and manufacturers. They requested that Cradin’s design concept be adapted to their current hanger bearings; which paved the way for numerous variations of the original patent. In 1997 Cradin Industries, Inc. moved into their newly constructed and present location, a 4,200 square foot tilt wall structure which is fully climate controlled and sits on approximately two acres; which hopefully will accommodate Cradin’s future growth plans. Big Bertha along with eleven other punch presses were pounding out Cradin hanger bearings on a daily bases. There are over 500,000 Cradin hanger bearings in operation in and around the world today. Early in 2000, Cradin was approached by their sole carbon-graphite supplier inquiring if they would consider selling their hanger bearing product line. A mutually acceptable business agreement was reached and the hanger bearing patent along with all the manufacturing equipment required to produce same was sold. Why, some might ask, would someone sell such a successful and growing enterprise…Something new and adventurous one founder will say; the other’s response will be “If he wants to, I’ll be there with him”. During the same time period Cradin Industries, Inc. was exploring jet engine component repairs, which required the removal and replacement of spherical bearings. They were also developing repair procedures for both metal jacketed carbon bearings and PTFE lined journal bearings used on jet engine rear compressor variable vane stems. In a move to separate the company’s individual identities, a strategic business decision was made to create Cradin Aerospace, Inc.; which is a 100% Woman Owned Business. Cradin Aerospace, Inc. instituted and functions under a Quality Management System compliant to ANSI/ISO/ASQ Q9001-2000. After the sale of the hanger bearing product line, Cradin re-furbished their 3,000 square foot manufacturing area by segregating it into individual work cells, where specific process functions are performed. Cradin’s Engineering Department initiated a Research and Development program to identify an alternative to homogeneous and/or PTFE (Polytetrafluoroethylene) fabric impregnated self-lubricating liner systems employed in “dry” bearing application. Their extensive Engineering effort identified numerous possibilities; one particular was fluoropolymer coatings. It was apparent that fluoropolymer coatings offered multiple benefits rather than just simply lubrication. Cradin’s aerospace mindset, that being, there is only one sure way to really understand how a particular fluoropolymer coating or any other self-lubrication system will actually perform in service and that is by testing. So Cradin decided to replicate the high-load slow-oscillation test rig utilized by the Naval Air Warfare Center (Patuxent River, MD) Aircraft Subsystems Division used to qualify all Aerospace Standards (AS) for self-lubricating bearings incorporating bonded in liner systems. It was during the testing of the fluoropolymer coatings, which are readily available from numerous suppliers, and most have a multitude of varying constituent combinations, that it was noticed that some coatings functioned exceptionally well (as advertised) and others seemed to act a bit peculiar. 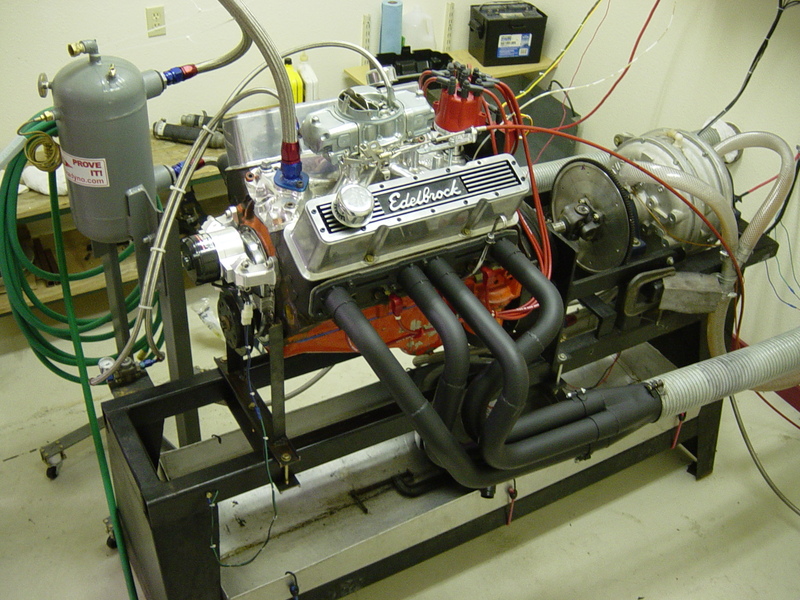 So, to take their in-house testing to the next level, Cradin purchased a Stuska engine dynamometer. This is where Cradin really discovered that coatings are not all the same! Cradin then takes their testing to the ultimate level by “track site” testing utilizing their Tulu Racing 1990 Beretta 599 C.I. Big Chief powered drag racing car. If you’re going to promote it and sell it…you better make sure it works! Cradin knows what works and what doesn’t and why! Cradin has identified all this great stuff. The next question is what to do with it. Tribology (a science that deals with the design, friction, wear, and lubrication of interacting surfaces in relative motion…as in bearings or gears) is Cradin’s forte. We began exploring problems associated with journal bearings, spherical bearings and rod end assemblies. However, Cradin wanted to make a difference and they know exactly what works and what doesn’t. And they definitely didn’t want to be another “me too” company. Cradin Aerospace, Inc. embarked on designing a radical “new” spherical bearing design concept, which is currently Patent Pending and has is Trademarked the Lufa bearing for industry recognition. Today, you have two uniquely different but complimentary companies housed in one facility. Cradin Industries, Inc. is an industrial applicator of performance enhancement coatings for rotational components and thermal applications; which are incorporated in Cradin Aerospace, Inc. products. Cradin Aerospace, Inc. is a designer and manufacturer of high value added non-swaged spherical bearings, rod ends and journal bearings employing alternative means of self-lubrication whether from surface coatings or component material combinations.